International Bullion Exchange (“IBX”) is a precious metals dealer with an established reputation as a trusted and dedicated resource for people wanting to diversify their holdings with intelligent precious metals and diamond investments. We believe that gold, silver and diamonds should be a significant part of anyone’s financial holdings and we provide many convenient methods for purchasing and/or controlling significant values in precious metals and diamond products. We provide our clientele with access to a select group of certified bullion products, investment grade coins and diamonds, and our exclusive Orion Program. Our products and programs are selected for their ability to help hedge against the twin evils of inflation and uncertainty that we have in the world today, and to position our clients with assets that have been trusted and revered for thousands of years. IBX offer investors multiple possibilities for investing in precious metals. Through International Bullion Exchange you can purchase gold or other precious metals for immediate personal delivery, open or rollover an existing IRA into a Precious Metals IRA, or arrange for convenient and safe storage at an independent bank or depository. 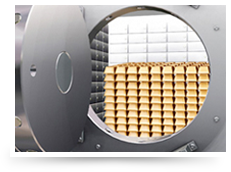 Our exclusive precious metal storage program is known as The Orion Account. An important feature of the Orion Account lies in the security it provides. If you purchase your metals from International Bullion Exchange, all of the bullion or numismatics you order will be stored on your behalf at a federally regulated bank or depository vault, or you can take personal delivery if you choose at any time as long as there are no outstanding balances due. The books and records of the firm will clearly identify you as the owner until your holdings are either sold or you take personal delivery. The precious metals held for you are not an asset of International Bullion Exchange, or any bank or depository, and as such, the security of your precious metals does not depend on any company’s individual or collective financial condition. Once a Precious Metals Specialist has been assigned to you, you will be able to call at any time during normal business hours for updates on your account or to receive information on current market conditions. Your orders will be executed promptly and trade confirmations sent to you after each transaction. To be a successful investor it requires having your money in the right place at the right time and not only knowing when to buy, but knowing when to sell. Trying to anticipate market cycles is a complex process and many investors simply do not have the time or expertise to act accordingly and shift their assets as market conditions change. Proper positioning is a key factor in achieving the greatest return. At IBX, we’re committed to our clients and enjoy working with them to reach their goals. Our one-on-one service philosophy is just one of the reasons our clients choose to have International Bullion Exchange handle their tangible asset portfolios. People come to International Bullion Exchange from all walks of life and from all corners of the globe seeking advice and guidance for their precious metals investments. International Bullion Exchange is known the world over as a leader in precious metals and financed bullion programs. Our goal is complete customer satisfaction. 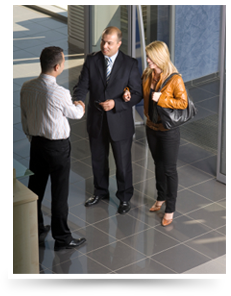 As a result of our clients’ trust, over 75% of our business is either repeat business or referrals.